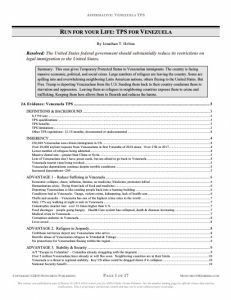 NFHS Policy Release #34: “Venezuela TPS” (AFF) (4/8/2019)- This case gives Temporary Protected Status to Venezuelan immigrants. The country is facing massive economic, political, and social crises. Large numbers of refugees are leaving the country. But Pres. Trump is deporting Venezuelans from the U.S. Sending them back to their country condemns them to starvation and oppression. NFHS Policy Release #33: “MANVI” (NEG) (4/1/2019)- This NEG argues that the AFF plan to bring back MAVNI is unnecessary. We aren’t deporting any veterans, and Congress is already taking steps to address the lack of soldiers in the army. 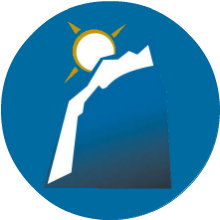 NFHS Policy Release #32: “MAVNI” (AFF) (3/25/2019)- Summary: Military Accessions Vital to National Interest (MAVNI) was a program designed to incentivize foreigners with useful military skills – translation or medical knowledge – to join the U.S. military. In exchange, after honorable service, they would receive citizenship. This plan restores MAVNI. Immigrants are well educated, motivated and highly qualified recruits who fill key spots and solve manpower shortages in the military. Without them our national security is at risk. And the motive for blocking them is simply racism. NFHS Policy Release #31: “Social Media” (NEG) (3/18/2019)- The NEG will argue that – apart from the obvious foolhardiness of the last requirement being repealed – there is no need for a change in policy. The harms the AFF presents are (1) Non-unique to other policies President Trump has instituted, and (2) justified to some extent. NFHS Policy Release #30: “Social Media” (AFF) (3/11/2019)- Summary: The Trump administration has called for tougher vetting of immigrants into the U.S., so the Department of Homeland Security instituted a program that required applicants from select nations to disclose their social media information (usernames, email addresses, past phone numbers, etc.). The department now seeks to make that program mandatory for all visa applicants. The Affirmative case is to repeal these programs because they unnecessarily intrude on the privacy of immigrants, slow the process of immigration down, and waste government resources. Claims of terrorism from advocates of the program are overblown. The immigration process has had a stellar track record when it comes to admitting terrorists. These increased requirements are irrelevant and wasteful. NFHS Policy Release #28: “Open Immigration” (2A) (2/25/2019)- There's no moral justification for refusing people the human right to migrate. And this country would reap numerous economic and social benefits from the influx of new workers. In addition, opening up legal immigration allows refugees at risk of death to come easily and eliminates the risk of immigrants dying in the desert trying to sneak in. NFHS Policy Release #27: “Open Immigration” (AFF) (2/18/2019)- There's no moral justification for refusing people the human right to migrate. And this country would reap numerous economic and social benefits from the influx of new workers. In addition, opening up legal immigration allows refugees at risk of death to come easily and eliminates the risk of immigrants dying in the desert trying to sneak in. NFHS Policy Release #26: “State Visas” (NEG) (2/11/2019)- Negative will argue that devolving immigration policy to the states is unconstitutional and unworkable. It's too easy to cross state lines once they get into the country, and that will defeat the original purpose of state-level policy. And then there are the usual disadvantages that increased immigration causes, in social costs, competition for jobs, and failure to assimilate. NFHS Policy Release #25: “State Visas” (2A) (2/4/2019)- This plan enacts State Sponsored Visa Pilot Program Act of 2017. SSPPVA was proposed by Sen. Ron Johnson (R-Wisc.) in 2017 but never enacted. In the Status Quo, the federal government makes all decisions about quotas, quantities and qualifications of immigrants. The one size fits all approach doesn't work and creates controversy because some parts of the country want and need more immigrants (due to labor shortages), while others don't (areas of high unemployment or political opposition). Numerous states have asked the federal government to remove its restrictions on state participation in immigration, and SSPPVA is the answer. SSPPVA allocates visas to the states (some to all states and some based on population) that States can then choose to use to sponsor guest workers who can work and reside only in their state. States that don't want more immigrants will simply decline to use any visas, others may use some but not all of their visas, while some States will use their entire allocation. Labor shortages in affected states will be solved and economic growth will be promoted by directing immigrant labor to areas that need it most. NFHS Policy Release #24: “State Visas” (AFF) (1/28/2019)- This plan enacts State Sponsored Visa Pilot Program Act of 2017. SSPPVA was proposed by Sen. Ron Johnson (R-Wisc.) in 2017 but never enacted. In the Status Quo, the federal government makes all decisions about quotas, quantities and qualifications of immigrants. The one size fits all approach doesn't work and creates controversy because some parts of the country want and need more immigrants (due to labor shortages), while others don't (areas of high unemployment or political opposition). Numerous states have asked the federal government to remove its restrictions on state participation in immigration, and SSPPVA is the answer. SSPPVA allocates visas to the states (some to all states and some based on population) that States can then choose to use to sponsor guest workers who can work and reside only in their state. States that don't want more immigrants will simply decline to use any visas, others may use some but not all of their visas, while some States will use their entire allocation. Labor shortages in affected states will be solved and economic growth will be promoted by directing immigrant labor to areas that need it most. NFHS Policy Release #23: “Rohingya” (NEG) (1/21/2019)- The Rohingya are an ethnic and religious minority group living in a region of Myanmar (also known as Burma). Affirmative argues that resettlement in safe places, like the US, is the only workable solution to the Rohingyas' plight, since their own country rejects them, and neighboring countries cannot care for them. This brief argues that there are other alternatives that are better and would avoid the disadvantages. NFHS Policy Release #22: “Rohingya” (2A) (1/14/2019)- This lesson provides additional evidence for the case of Rohingya refugees. The Rohingya are an ethnic and religious minority group living in a region of Myanmar (also known as Burma). They have been relentlessly persecuted by the government, stripped of their citizenship, killed and chased out of their villages, and rejected by other nations when seeking asylum. NFHS Policy Release #21: “Rohingya” (AFF) (1/7/2019)- Case Summary: The Rohingya are an ethnic and religious minority group living in a region of Myanmar (also known as Burma). They have been relentlessly persecuted by the government, stripped of their citizenship, killed and chased out of their villages, and rejected by other nations when seeking asylum. Many end up in camps in Bangladesh, where conditions are terrible and the poor Bangladeshis cannot afford to feed them. The Trump administration has lowered the number of Rohingyas being allowed to enter the US as refugees, a terrible policy that needs to be reversed. Resettlement in safe places, like the US, is the only workable solution to the Rohingyas' plight, since their own country rejects them and neighboring countries cannot care for them. NFHS Policy Release #20: “DACA Fix” (NEG) (12/17/2018)- This document gives counter evidence on why DACA does not need to be fixed. All cards are neatly cut and ready to be ran in a debate round. NFHS Policy Release #19: “DACA Fix” (2A) (12/10/2018)- This document gives additional evidence based reason on why DACA does indeed need to be fixed. All cards are neatly cut and ready to be ran in a debate round. NFHS Policy Release #18: “DACA Fix” (AFF) (12/3/2018)- This document gives the full evidence based reason on why DACA does indeed need to be fixed. All cards are neatly cut and ready to be ran in a debate round. NFHS Policy Release #17: “H1B” (NEG) (11/26/2018)- H-1B visas are visas given to hi-tech foreigners to work for 3 years in the U.S. (and can be renewed once for 3 more years). There's no shortage of US workers in hi-tech fields, instead there's a shortage of jobs. When Americans are fired and have to train the H-1s during their last weeks on the job, no one can say Americans lack the skills to do the job. H-1B immigrants replace US workers and drive down wages for those who are lucky enough to keep their jobs. And they drain talent and hardworking people away from poor countries like India, where they could be building up their economy and uplifting their own people. NFHS policy Release #16: “H1B” (2A) (11/19/2018)- H-1B visas are visas given to hi-tech foreigners to work for 3 years in the U.S. (and can be renewed once for 3 more years). H-1B immigrants are typically highly educated and talented, and they contribute to the US economy by keeping industry and technology work in the U.S. Currently H-1Bs are restricted to 65,000 per year. This case argues that we should reduce this restriction and grow our economy by bringing in more skilled workers. NFHS Policy Release #15: “H1B” (AFF) (11/12/2018)- H-1B visas are visas given to hi-tech foreigners to work for 3 years in the U.S. (and can be renewed once for 3 more years). H-1B immigrants are typically highly educated and talented, and they contribute to the US economy by keeping industry and technology work in the U.S. Currently H-1Bs are restricted to 65,000 per year. This case argues that we should reduce this restriction and grow our economy by bringing in more skilled workers. NFHS Policy Release #14: “H2A Reform” (NEG) (11/5/2018)- Affirmative plan reduces restrictions on H-2A visas and gets the illegal workers a pathway to legalization so that they get into the system and become taxpaying members of society. AFF's theory is that there is a shortage of agriculture workers in the US and we need to bring in more (or legalize the ones already here). But the US agriculture sector has bamboozled the AFF and the public with some fake facts, most notably the "worker shortage." As in any industry, if you pay sufficient wages, you will get sufficient workers. If they don't have enough farm workers, it is because they are looking for people willing to work for low pay in terrible conditions. Farms intentionally turn away US citizen workers, so they can get immigrants instead, in part because they get tax breaks for hiring foreigners that they don't get for hiring US citizens, due to a loophole in the IRS code. They have no incentive to try very hard to get US workers, and their complaints about "jobs Americans won't do" ring hollow. NFHS Policy Release #13: “H2A Reform” (2A) (10/29/2018)- This 2A brief provides additional evidence and substantial reasoning behind the importance of reforming H2A. NFHS Policy Release #12: “H2A Reform” (AFF) (10/22/2018)- This case provides evidence and substantial reasoning behind the importance of reforming H2A. NFHS Policy Release #11: “U-Visa” (NEG) (10/15/2018)- This lesson argues against U-visas, arguing that they U's depend on the immigrant claiming to be a crime victim, they open the door to all kinds of fraud and false accusations, since it's easy for anyone to claim they are the victim of an imaginary crime, and a big incentive for any illegal immigrant to do so if it magically converts him to legal status. NFHS Policy Release #10: “U-Visas” (2A) (10/8/2018)- This lesson is a brief which provides additional evidence for backing up the case. NFHS Policy Release #09: “U-Visas” (AFF) (10/1/2018)- This lesson lays out the foundation of a case of work visas. It gives you everything necessary to run in a debate round. NFHS Policy Release #08: “EB-5 Visas” (NEG) (9/24/2018)- This Monument Members release gives the opposing side of the EB-5 issues by considering a load of disadvantages. NFHS Policy Release #07: “EB5” (2A) (9/17/2018)- This 2A Evidence is an extension of the policy debate case Show Me The Money: The Case For EB-5. NFHS Policy Release #06: “EB5” (AFF) (9/10/2018)- This case argues that the EB-5 visa pilot program was never supposed to be a long term solution and therefore should be replaced. NFHS Policy Release #05: “Refugees” (NEG) (9/3/2018)- This download provides Negative evidence to aid them with the argument that the most cost-effective way to help the most refugees is to pay to maintain them in the region where they came from, not bring them all the way around the world one by one to the United States. That would also be a lot better for the U.S., since increased refugees means increased risk of terrorism. NFHS Policy Release #04: “Evidence For Refugees” (2A) (8/27/2018)- This 2A Evidence is an extension of the policy debate case Safe Haven: The Case for Refugees. The case encourages the increase of refugees in America. This brief extends that case. NFHS Policy Release #03: “The Case for Refugees” (AFF) (8/20/2018)- This case argues that the US should stand up for refugees. Our example will motivate other nations to step up as well. NFHS Policy Release #02: “Status Quo Immigration” (INFO) (8/13/2018)- In this member release, we examine some of the better known and widely debated issues that are currently being discussed in the literature on legal immigration in the United States. Our goal is not to persuade you to any point of view, but rather to summarize what some of the arguments are so that you have a better understanding of the positions you may find yourself debating this year. NFHS Policy Release #01: “History of Immigration” (INFO) (8/6/2018)- Policy debaters must have a solid understanding of the history of the year’s topic of study. The purpose of this article is to give competitors the underlying knowledge of that history while relating it to the resolution. 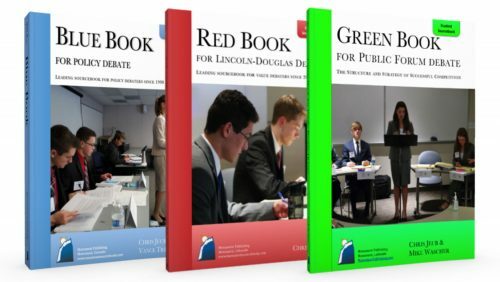 Preseason: Policy Debate (6/25/2018)- This preseason document introduces the most exciting competitive event of Policy Debate. It gives the foundation of policy by giving competitor's an understanding of the structure, rules, explanation and the resolution for this season's policy debate.